Tell us a bit about your background and other projects you've been involved in. Since leaving graduating with a BA (hons) in Visual Communication I've worked in communication for over twenty years and in digital for more than ten. Two years ago I set up icoEx to specialise in digital experience. During this time I have led teams in developing websites for The Science Museum London, National Railway Museum, Luton Airport and the Crafts Council and interactives for the Wellcome Collection and Hayward Gallery. We put a robot in the Houses of Parliament to get the attention of MPs and give the opinions of young people the chance to be heard. Vinspired is the nation's leading youth volunteering charity who believe that young people can change the world. They wanted a way to get the opinions of young people in front of the people who made decisions that affected them. 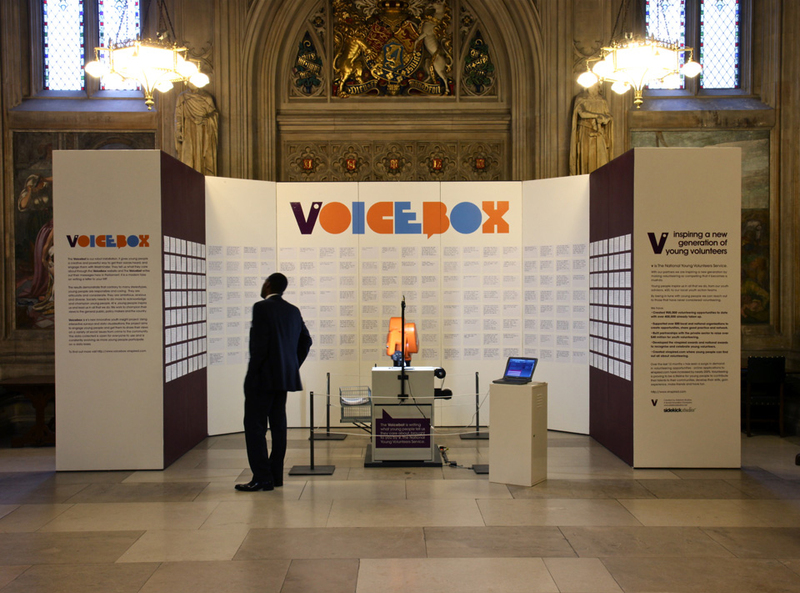 We created VoiceBot, a robot that was installed in Westminster and transcribed young people's messages onto paper for politicians and policy makers to view. 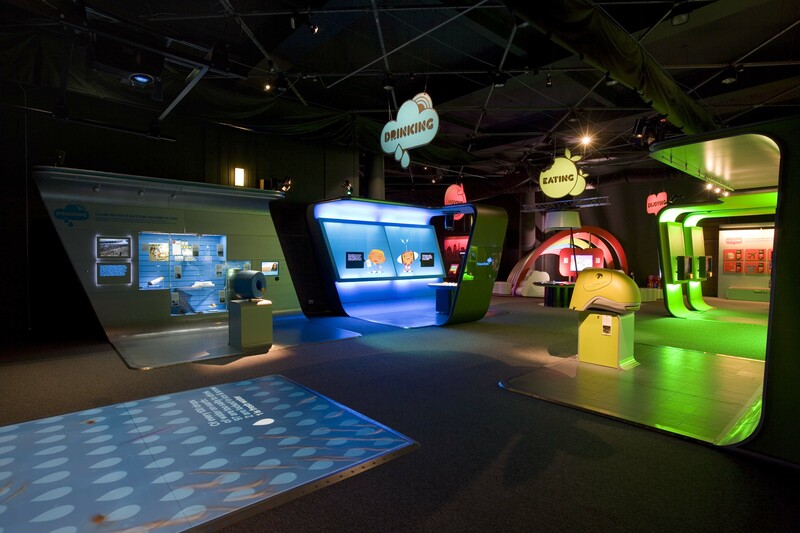 Science Museum "Science of Survival"
We developed an interactive exhibition for the Science Museum to engage and inform children about climate change and its impact on the future of the planet. We created a pop neon palette on glossy reflective black with vibrant gaming style type and a set of cartoon character narrators. Once we had attracted visitors in, we wanted to get them to understand the consequences of their actions and get them involved: we created a series of challenges and games such as 'Design your own home' or 'Create the food of the future'. Each one of the mini games was easy to use and fun to play, with a reward at the end when you see your creation come to life and it get reviewed by two of the exhibitions characters. The finale of the exhibition was “Future City." Here the solutions that the individual visitor has adopted throughout the exhibition are collected and the resulting “Future City" is displayed, showing the kind of neighbourhood that can be expected in 2050. How did the idea of the data map come about? I met Will through Ben at uMotif [Cloudy app creators]. I showed Will some of the work we had done and he told me about the data that had been collected in the Cloudy with a Chance of Pain project. He was looking for a way to allow lots of people access to the data (without revealing any personal information): we explored some options and came up with the data visualisation map. Lots of things really. The first one was the initial question, "Does weather affect health/wellbeing?" The fact that together with uMotif you had created a way to gather information from a wide range of users (and that a huge number of users had taken part for over a year!). Also that the visualisation project was a way to both give something back to those users and let ordinary people look through this huge dataset in a way that would be meaningful. Trying to create an interface to a huge dataset with lots of different types of information in a way that is easy to use. And importantly can engage an audience that ranges from young to old with varying levels of computer literacy (that also works on a wide range of devices). The data map will be available on the Cloudy with a Chance of Pain website on publication day.